Finding delicious, healthy, natural snacks has never been easier, but the choices can be bewildering depending on your health needs. Are you looking for gluten-free substitutes for pantry standards like cookies and crackers? Have you switched to a paleo diet and are looking to avoid carbs? Or are you simply looking for a potato chip substitute for your kids? No matter what your needs, we've got you covered. We've selected our 11 favorite healthy and natural snacks on the market today, all available from healthy and sustainable food retailer Thrive Market. Read on below to find the bestselling, top-reviewed products in each category. Mary's Gone Crackers are our absolute favorite on the market, and have been a sensation since they debuted, selling over 8 million boxes. They're organic, vegan and gluten-free, made with wholesome grains including quinoa, brown rice, flaxseeds and sesame. They're delicious on their own or with any of your favorite dips and cheeses. Primal Kitchen's Dark Chocolate Almond Bars are among the top-selling paleo products available, and a delicious and healthy chocolate snack too. Primal Kitchen's bars have 15 grams of protein against only 3 grams of sugar and 8 grams of total carbs. The protein comes from all-natural grass-fed collagen. They're gluten and soy-free as well. Pamela's gluten-free natural Whenever Bars are a delicious traditional cookie substitute made primarily of of oats, rice, chocolate and coconut. They're soft and chewy with a lighter consistency than a granola bar, and a wholesome flavor. Epic's all-natural jerky bars hold the gold standard in jerky for sustainability and overall flavor, and their Bison Bacon Cranberry Bars are our favorites. They're made from natural vegetarian-fed buffalo, which is high in lean protein, and savory uncured bacon. Tart cranberries add a juicy touch and contrast to the meat. Alive & Radiant was one of the first brands of kale chips on the market in 2004, and their vegan Quite Cheezy chips are beloved for their savory flavor and being gluten and dairy-free. Primary Kitchen's Avocado Oil Mayo may be our most beloved product on this whole list. It's a natural, paleo-approved, non-GMO mayo made with organic eggs, avocado oil, vinegar, sea salt and rosemary extract, and is absolutely delicious. 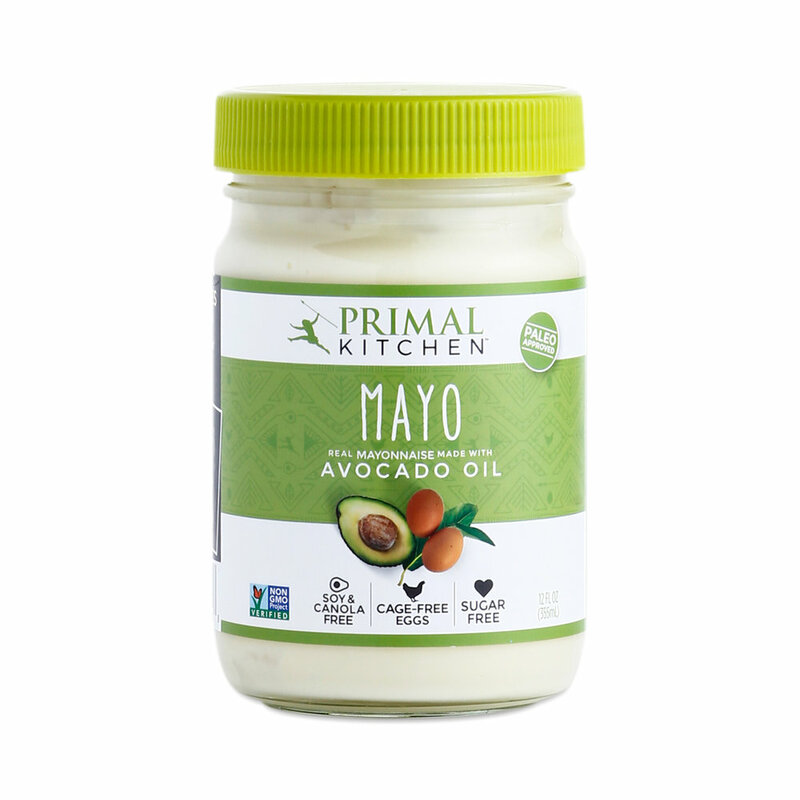 Most mayos are made with unhealthy, processed oils with high cholesterol conent, while Primal Kitchen's stands out for using healthier and more flavorful avocado oil. Our top nut butter on the market comes fro the well-regard Justin's brand, which also makes dark chocolate peanut butter cups that are just a little too decadent to make it on this list! This all-natural Almond Butter is as simple as it gets, made from organic dry roasted almonds and sustainable palm fruit oil. Purely Elizabeth's Ancient Grain Granola is the heartiest, salty-sweet granola that we've tried. It is made with superfoods including coconut oil, chia seeds, quinoa, chia and more, and is full of satisfyingly large crunchy clusters. This granola is 100% organic, certified non-GMO, gluten-free and certified vegan. Purely Elizabeth's brand is consistently one of the most committed we've seen to innovating around the use of organic natural grains. If you really need a traditional chip, Thrive Market's Non-GMO Plantain Chips are an excellent substitute for potato chips. Plantains are a type of cooking banana that are a staple of South American and Caribbean diets, and are packed with potassium. Dang's Caramel Sea Salt Toasted Coconut Chips are practically addictive, but as simple and natural as snacks get. They're made from toasted Thai coconut slices, plus coconut sugar and sea salt. That's it - each filling serving of Dang's chips have the nutritional value of eating fresh coconut, including 35% of your daily healthy saturated fat intake. Thrive Market's Organic Seaweed Snacks with sea salt are a crunchy, salty alternative to traditional chips that pack a nutrient-filled punch with just 50 calories. Seaweed snacks are simply as they sound - Thrive takes sushi-grade seaweed, dries it and then roasts it with a touch of oil and sea salt.